Applicable in unloading tiles automatically. 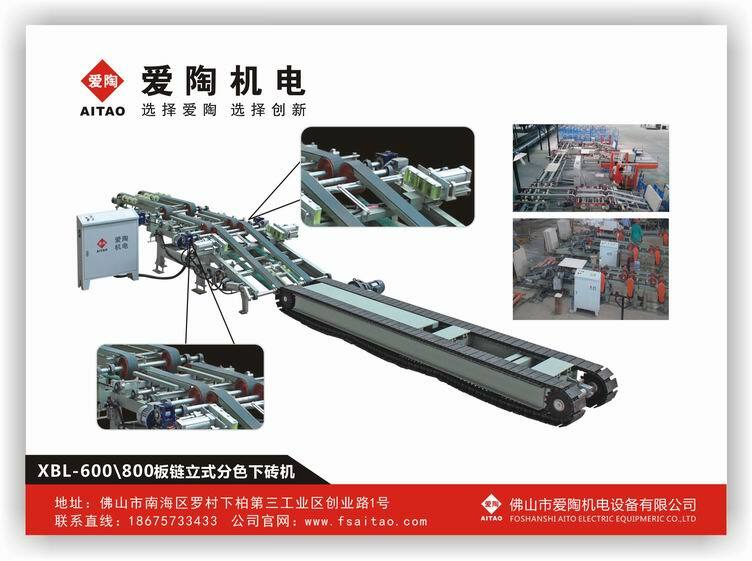 This Machine is applicable in unloading 600mm x 600mm or 800mm x 800mm tiles to the tile holding frames instead of picking up the tiles manually, which can reduce human cost and improve output. Length of the tile holding frame is from 1m to 1.6m. 1). Full automation, The stable performance can free more hands to do something else. 2). Simple intallation. Compatible to production line without too much revising to the machine.